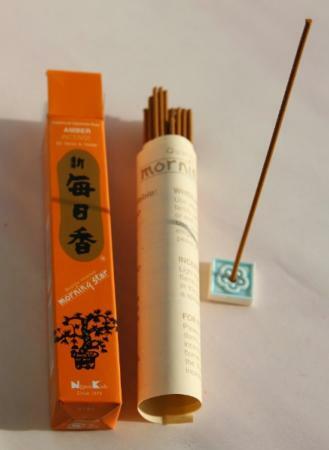 Morning Star Amber Japanese Incense - an Earthy and Oriental Fragrance. The Fragrance of Rich Amber which is warm, musky, rich and honey-like. This is a perfect fragrance for Autumn/Winter time and blends well with others in the Morning Star range like Pine, Frankincense and Vanilla to create a special scent at Christmas time. Morning Star Amber incense is also available in a box of 200 sticks. Great product my favourite insence!